Ann Marlowe (Electric Bass, Upright Bass, Cello, Ukulele, Flute, Clarinet) is a multi-instrumentalist who performs and teaches all styles of music including classical, country jazz, and rock. She has over twenty years experience teaching private lessons in the Washington, DC Metro Area. 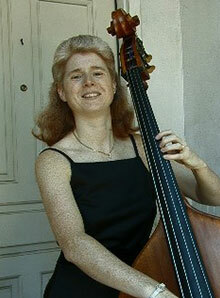 Ann was a faculty member at Sidwell Friends for six years as an instrumental music teacher. She spent four years at Peabody Preparatory as an instructor of private flute lessons. She has over 35 years of experience teaching private students. Currently, she teaches Flute, Clarinet, Saxophone, Recorder, Trumpet, Trombone, Tuba, Ukulele, Cello, Electric Bass and Upright Bass.